ISAR520 - USB Isolator with ADUM4160 and Ultra-Low-Noise DC-DC Converter muRata NXE1. 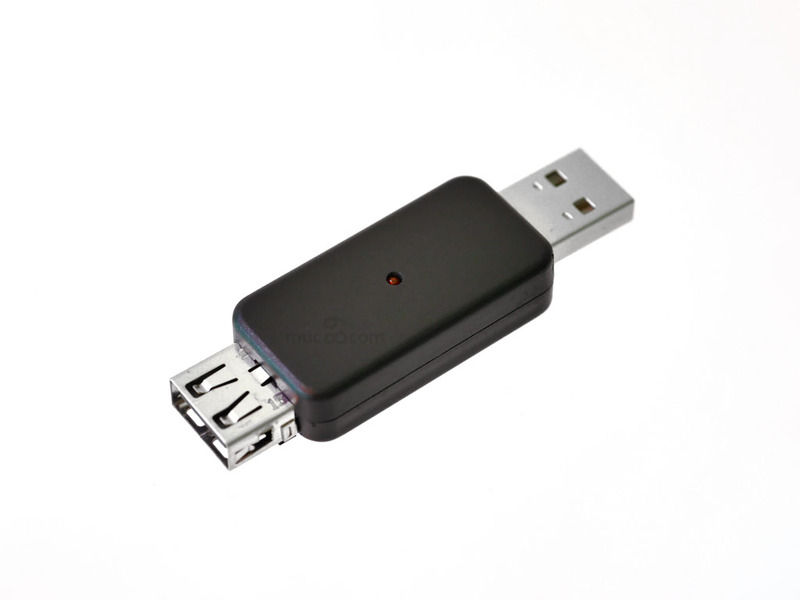 ISAR520 is an USB isolator for interconnection of sensitive USB devices, such as USB DACs or Weather Stations. It will isolate the power from the USB host and the connected device and provides a cleaner 5V DC USB voltage to the USB device, which can be loaded with up to 1000mW. The isolator will create a new ground for the USB device so that it doesn't have to share ground with your computer and other devices you might have connected in the same premise. 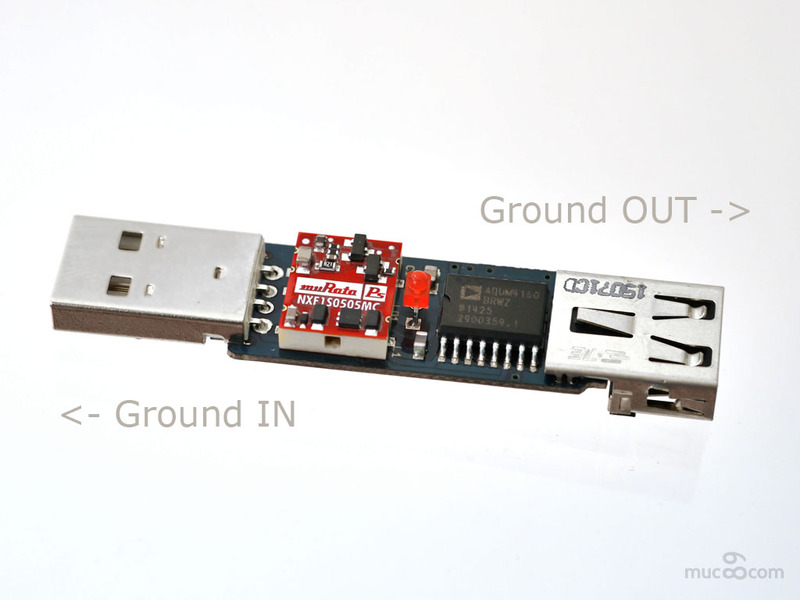 USB devices with their own power supply can still be connected. A new ground - to be more precise, an isolation of computer-ground and device ground - adds clarity and cares for a strict separation of different ground signals. 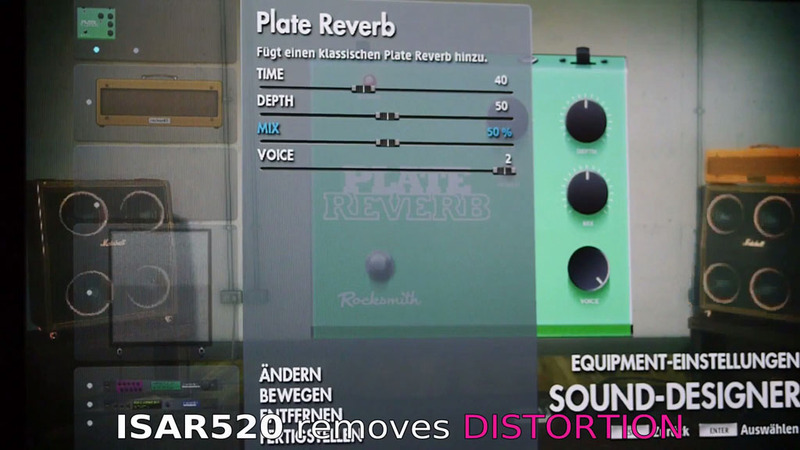 Therefore, ISAR520 is the prerequisite for a high quality sound experience and reliable data connection. 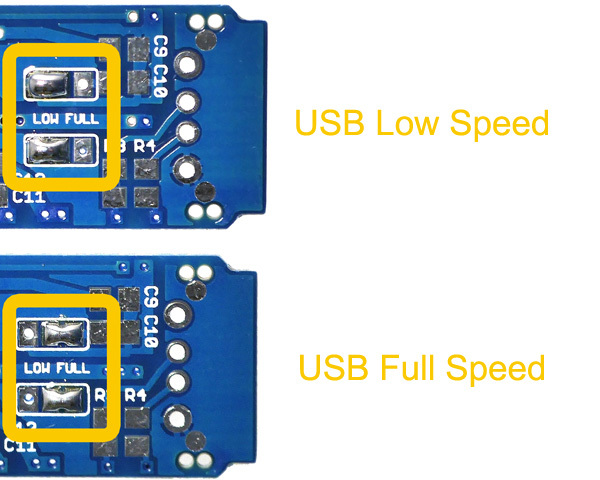 Unfortunately, all DC-DC converters, not only those for USB isolation, quite often generate a new little problem with their ripple and noise on the new USB ground by themselves. While most USB isolators are based on simple DC-DC converters, ISAR520 on the other hand utilizes a high-end converter muRata NXE1. This fact improves sound quality significantly. NXE1 by muRata specifies its output ripple & noise with 28mVp-p. ISAR520 in addition utilizes a L-C circuit which lowers noise at normal load to 5mVp-p.
USB Full Speed with 12 Mbps is good enough for DAC sampling rates up to 96kHz at 24bit. DAC resolutions with 192kHz or above or USB Audio 2.0 connections will not be supported by ISAR520. Some of the DACs with higher resolution on the other side, offer the option to run the DAC in USB Audio 1.0 for up to 96 kHz. Please see below for a description how to test your USB DAC interface before purchasing ISAR520. Works for example with USB DACs with Silicon Labs CP2114 codec (HIRESFI USB DAC 5102), Savitech SA9023 USB interface or GFEC Tenor USB codec. ISAR520 also works with ASUS Xonar Essence III in USB Audio 1.0 mode.